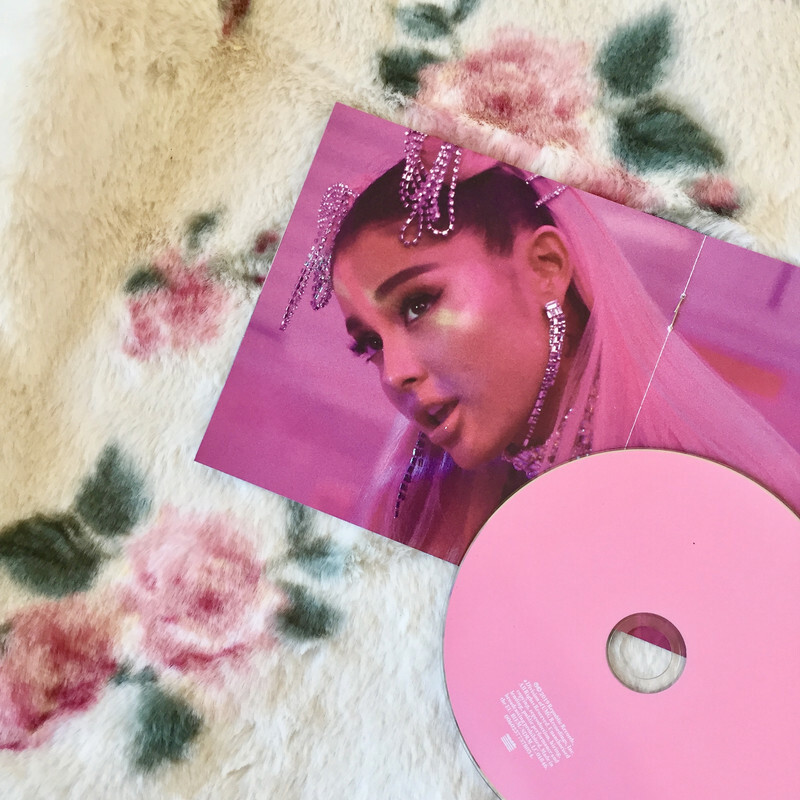 Luckily for me the mail came super fast and I got to listen to Ariana Grande her new album almost immediately after I woke up. This is Ariana’s second album in just 6 MONTHS. Isn’t that crazy? This song was already out as Ariana released it as the first promotional single for the album. It’s so light and lovely. The whistle notes at the end of the song are CRAZY though. How does she do that???? Ariana has been teasing this song for a while and leaked a few snippets of it. Back then I knew I was gonna love it and I do! You can hear lots of finger clicks and backing vocals singing “ooooohs”and “aaaahs” in this beautiful ballad. The violet-play at the ending when the music dies away to me is the perfect ending of this song. Hit it up with NASA! The first uptempo number from this album. The contrast between verses and chorus give the song a really nice variation. In the chorus the bass becomes more clearly, while the verses are a little more light. This track starts of with Ariana’s laugh, what better way to start a song? You can hear reggae/ dancehall influences in this track, which make it hard to sit still while listening. The trumpets give the musicality of the song that little extra, which I love. This song starts of like a 60’s record, but don’t be fooled! It changes into a real pop song quite fast. An upbeat song with a very clear beat and electric guitar riffs. I love the contrast in the song when the beat and Ariana’s voice fade away during the bridge, only to hear a beautiful violin-play and one of Ariana’s high notes. I think this track is best described as a laidback, feel good song. A real bop! “Highlight of my life, just like that Fenty Beauty kit.”. The musicality of the song sounds quite similar to one of Mac’s songs, called: 2009. Ghostin’ is a beautiful love song, but with a lot of heartache. Be prepared to cry. Ariana said she was a little anxious for the world to hear this song, because it’s so personal. I’m glad she put it on the album though! The song starts of with a really sweet message from one of her best friends, Doug Middlebrook. I’ve listened to this song multiple times a day since it came out and I’m still not tired of it! Ariana is showing even more variety with her rapping on this tune. It’s one of my favorite songs at the moment! This song wasn’t a surprise, as it’s been out for a few weeks already and got a #1 spot. It’s one of Ariana’s most successful songs, even though it’s not one of my favorites. I think it’s the perfect song to describe the term “teenybopper”. Right along with the release of her new album, Ariana also released the music video of this song. This time ariana went for a real synthpop song. It has an divergent bridge in it with almost no musicality, but Ariana’s voice and backing vocals. Really cool song! I feel like Ariana creates a little distance between her younger fans with this album, but gets to grow with the older ones (like me).